Adventure pack suitable for those who seek a greater adrenaline rush or simply adjust outstanding accounts with someone. 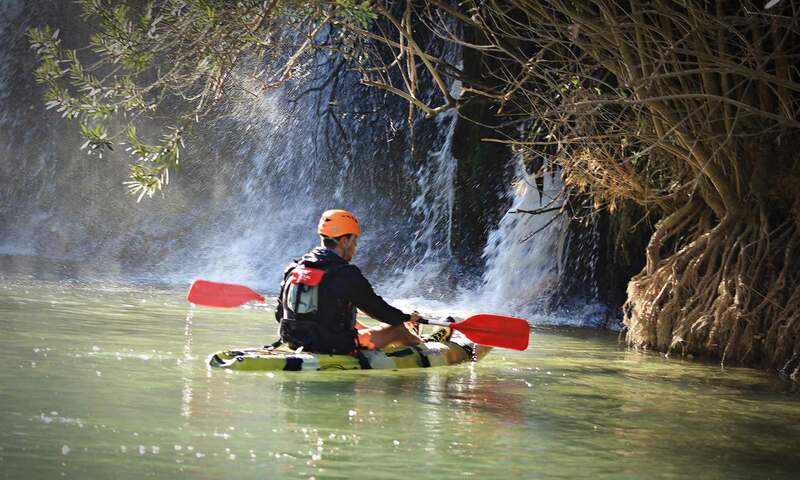 Ideal activity to perform as a family, with friends, companies, farewells, birthdays or to complete your adventure plan. 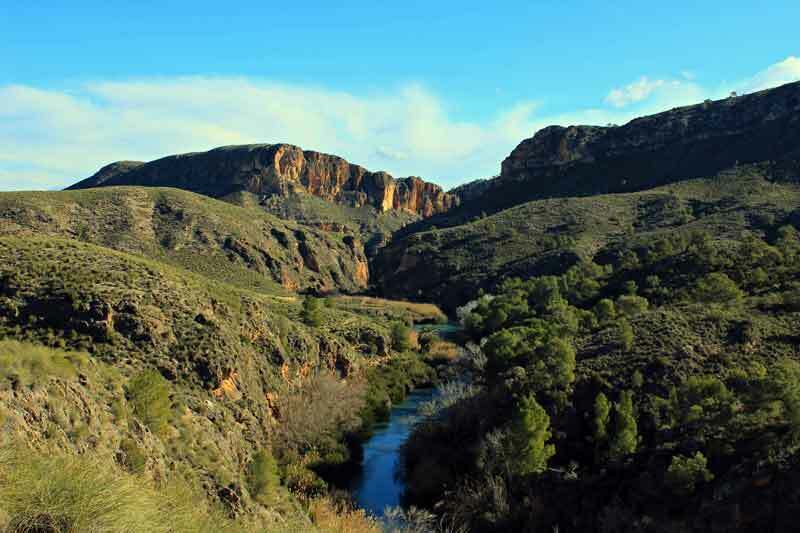 With availability of accommodation and food in the Caserío de Inazares. It is suitable for all ages from 6 years, you just need the desire to have fun, we take care of the rest. In the multiadventure we will enjoy a zip line of 100 meters, climbing routes, a rappel and a monkey bridge. One of the most beautiful and didactic packs that we make available to our clients as it runs through one of the most beautiful places in Murcia, the Natural Protected Area of “El Cañón de Almadenes”, a space proposed as a place of Community Importance. Our interpretive guides will make this activity a unique experience where you will know first-hand the best preserved Forest Gallery of the Region with its 150 species of recognized flora and fauna, making a special mention to the visit of the Cueva de los Monigotes and especially to the Cave of the Serreta with Rock Art Heritage of UNESCO. Before starting or finishing the descent, we will arrange to visit the Serreta cave where we will receive a workshop about his paintings and surroundings. In this pack we will enjoy a full day of adventures in Inazares, one of the most beautiful villages and roof of Murcia. It is located in the town of Moratalla, you can complete your visit with accommodation and / or restaurant that offers the Caserío de Inazares, with great houses and good service. In the morning we will get ready to climb to the top of Revolcadores, the highest peak in the Region of Murcia, for this a guide will accompany you at all times. After returning to the starting point you can enjoy a meal in the Restaurant of Inazares or consult the different options. In the afternoon we will move 300 meters to reach our multi-adventure area, where we will perform different activities such as a zip line of 100 meters, different climbing routes, a rappel and a monkey bridge.